Nebraska is going to win a bunch of football games in the Saturdays ahead. This Saturday’s game didn’t happen to be one of them. But the Huskers’ 33-28 loss to Colorado proved it just as well as a 28-27 win would’ve. There’s no doubt in my mind about that. The win would’ve been the happier ending, of course. The perfect second chance at a first start that Nebraska fans had been playing out in their heads all summer-plus-one-week long. A win would’ve kept alive the hope, not the expectation, that anything was possible for this new version of Nebraska football in 2018. And plenty still is possible in 2018 based on how the Huskers played against the Buffaloes. Just not an undefeated season, though nobody expected that, nor the storybook start to the Scott Frost era, which many did. But there were plenty signs of progress, including one giant one. Football is mostly a game about putting subtle pressure on the opponent. There are many ways to do this, but the surest way, the most consistent and replicable way, is through efficiency. On offense that means staying on schedule and on defense that means keeping teams off schedule. Everything is easier when a team can do that one thing. Field position, turnovers, big plays, luck, all those things matter, too, but those things tend to be volatile game to game. What makes good teams good and bad teams bad is how much pressure they can put on an opponent, and how consistently, through down-to-down execution. And Nebraska was mostly great in that regard, posting a 50-percent success rate to Colorado’s 35 percent. 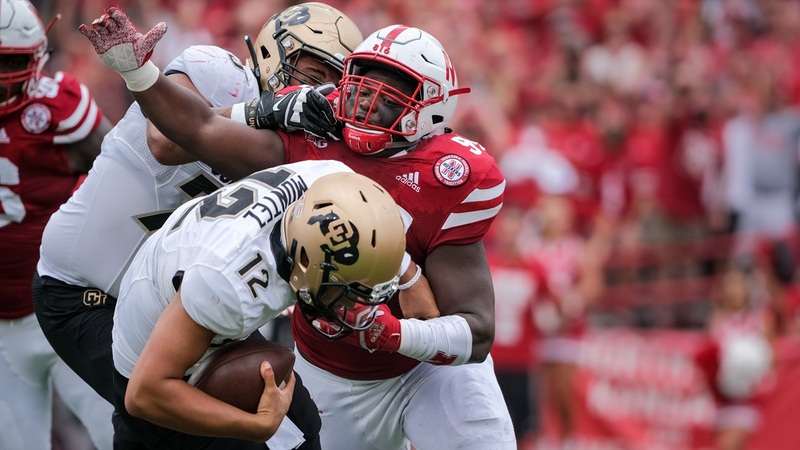 That was double the success-rate edge the Huskers had over any opponent in 2016 and the Huskers only had that edge over one opponent a year ago –– Illinois. Engineer that type of edge all year long and Nebraska will win a bunch of games. Good teams, however, also tend to earn a field position edge, win the turnover battle and make the most of their scoring opportunities. The Huskers’ didn’t beat the Buffaloes in any of those categories on Saturday. And so they lost. That’s how it goes sometimes. “When you’re trying to go from being an average team to a great team, you don’t beat yourself,” Frost said following the game. He’s right, of course, but that’s easier said than done. That made this game the entire offseason writ large. Husker fans were excited for the Frost era, but good about fighting back the urge to be too optimistic. In their hearts they believed anything was possible, but when it came time to make a prediction maybe they walked themselves back to 7-5 or 6-6. Nebraska responded in kind. It played really well much of the time, but looked like a new team with a freshman quarterback under a new staff at other times. Key times, as it turned out. All of the things people came into the season expecting –– better play and growing pains, fun and occasional frustration, promise and a test of patience –– was there simultaneously. Whatever prediction you were comfortable making in public, my guess is it didn’t include a loss to Colorado and definitely not having no Week 1 game at all. If you were basing your definition of success for Nebraska in this first year on a win total, the last two weeks may have made it tough to hit. But if 2018 is only about the long play, about Nebraska football getting better and showing the potential to be even better further down the road, then this loss was a resounding win. It’s hard to view football that way. A win is a win and a loss is a loss, right? In most cases, yes. Football fans rarely talk about how “good” a team was. It’s easier to talk about how many games a team won. The wins are the proof. Even though a win or a loss isn’t always the best proof of how good a team is or will likely be, it’s how we’ve all agreed to keep score. So Nebraska is behind now on that scoreboard, but Saturday proved to me that the Huskers will be ahead even sooner than I may have thought. The Huskers won the majority of downs on both offense and defense. The most consistent and replicable thing. They just didn’t do one of the other things that Frost knows first-hand that all good teams eventually need to figure out how to do. I’m more certain than I was at the start of the day that Nebraska will figure that out soon.